In most European cities you can find many canals that have been covered. Often though, underneath the cement and our frenetic lives, they still run. Constantly flowing water, unknown to us. Maybe we feel it. Maybe it influences us and we do not know it. It would be nice to lie down in between a 19th Century tram track among the windows of stores up for rent and wine bars offering refuge and put an ear to the cobblestones, like they used to do in the prairies to hear if a train was coming. I am sure that we would hear the sound of the Coypu. A constant and distinctive movement. Floating, their first album, is this: the electric landing on the muddy banks of that which has made Rock'n'Roll a gloriously celebrated thing. The Blues of a dried up Mississippi, the sonic violin of the Velvet Underground, Krautrock as an architecture of “endless” sound. Vertical chords and botanic drones: something happening beneath us and which you hope never abandons us. 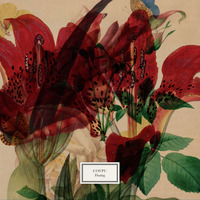 Coypu is the musical project born from the European-American friendship between Ben Chasny (of Six Organs of Admittance, Badgerlore, 200 Years, Rangda), Paul Beauchamp (Blind Cave Salamander, Almagest! ), Fabrizio Modonese Palumbo (Blind Cave Salamander, Almagest!, ( r ), Larsen) and Daniele “Lo Dev Alm” Pagliero. Subtle electronics and drones, psychedelic guitar lines and the melancholic sound of the Appalachian Dulcimer and musical saw merge into desertic, watery and evocative soundscapes. Man, Wolf, Jackal And Jungle Cat!